After recent controversy surrounding the space exploration game No Man’s Sky and allegations of false advertising, Steam creator Valve has revised its store policy to require developers to show legitimate, in-game screenshots in place of pre-rendered images or concept art. Valve, as well as No Man’s Sky developer Hello Games, are the subjects of an investigation launched by the U.K.-based Advertising Standards Authority in September. In addition to allegedly misleading screenshots, the investigation concerns “facts” listed on the Steam page for the game. Indie games like No Man’s Sky aren’t the only games guilty of this practice, however. 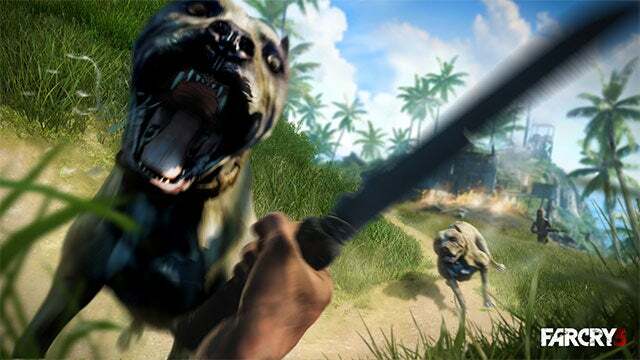 Far Cry 3 publisher Ubisoft found its game under fire back in 2012 for enhanced images that showed incredible detail on wild dogs and shrubbery, and though the worst offender isn’t on the game’s Steam page, the “screenshots” all appear to have been doctored in some form, with perfect particle effects and ludicrous detail on weapons. Concept art and other marketing images for games will still be allowed on Steam product pages, but they must be relegated to a separate section that clearly indicates they aren’t necessarily representative of the product customers are buying. 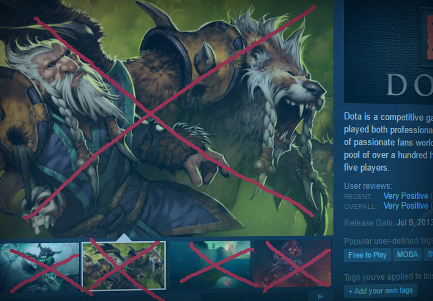 Valve has admitted that it actually wasn’t following its new guidelines in the past, with Dota 2 using concept art in place of screenshots.